Firefly Partners, a web design and development agency partnering with progressive nonprofits to meet their digital goals, is looking for a creative, forward-looking Full Stack WordPress Developer to join our growing team. If you’re skilled at turning engaging custom designs and user experiences into accessible, responsive, easy-to-manage WordPress websites we want to hear from you! Firefly Partners specializes in creating custom digital solutions for progressive nonprofits. We design beautiful websites, integrate platforms, create effective emails, and optimize digital tools to engage every organization’s unique set of supporters. Our commitment to social good is matched by an open, collaborative, and client-first approach. We define needs, design solutions, and deliver results that help organizations reach their goals. We are growing, and we're eager to bring on developers and engineers who will learn our current processes and push us to evolve our both our methodologies and the technical solutions we provide our clients. We know it's important for developers to have uninterrupted time to get work done. We respect the need for quiet time. At the same time, everyone on our team interacts with our clients. Our web developers work closely with our project managers, designers, and clients to plan, create, and launch unique user experiences. We value curiosity, authenticity, high-quality work, and doing the right thing in the best interest in of our team and our clients. Sound like you? Then join us! 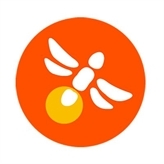 Want to get notified about new jobs at Firefly Partners?